The following is a collection of West Virginia Second Amendment organizations. Visit these sites to learn more and get involved with defending the Second Amendment. A nonpartisan, nonprofit, all-volunteer, grassroots organization of West Virginians who support the individual right to keep and bear arms for defense of self, family, home and state, and for lawful hunting and recreational use, as protected by the state constitution and the Second Amendment of the U.S. Constitution. 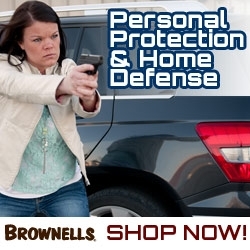 Promotes and protects the shooting sports and the lawful ownership and use of firearms as provided by the Second Amendment.